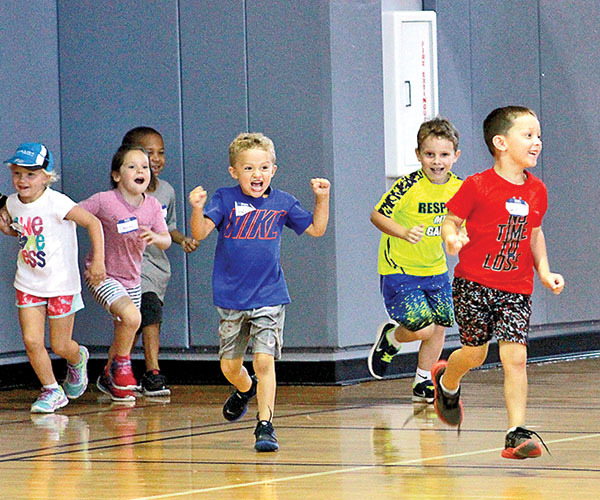 Northwestern State’s Wellness Recreation and Activity Center hosted their annual Fun and Fitness Camp for the first of three weeks July 10-14 for children ages 5-12. The campers engaged in a variety of activities that included aerobics, sports, arts and crafts to keep them active all-day with instructors from the NSU WRAC and CREW teams. One of many games the campers played was four corners. A chosen camper stood in the middle with their eyes closed while the other participants ran to one of four corners. The single participant had to guess where the others were until there was one left. The kids were excited when their corner was not picked. Photos by Ashley Froust.